India is one of the biggest users and contributors to Open Source technology. It has evolved manifolds from being just a cost-efficient alternative technology of proprietary technology to an imperative technology in Government of India’s flagship programme- Digital India. It is true that the revolution of digital transformation which has currently created ripples in the entire nation is one of the major drivers to the growth of Open Source. The Government of India has encouraged the adoption of this technology in the Digital India initiative and this has further encouraged the CIOs of enterprises and other government organizations to make a move towards this technology. “The rise of digital transformation in India has pushed the adoption of Open Source both by enterprises and government. As per industry reports, by 2020 70% of all newly deployed applications will run on an open source databases. The uptake of the adoption by companies of all sizes is a direct reflection of the maturity of the open source solutions. Infact, several institutes are opting to now including Open Source in their curriculum,” says Neeraj Bhatia, Director - Partner, Alliances & Commercial Sales, Red Hat India. Open Source technology has come across a long way in terms of maturity and flexibility. The Government is adopting this technology as it offers a scalable and robust platform which in turn provides the best possible outcome. Moreover, the most important reason behind its rapid adoption is freedom of choice. “Open source technology today is fairly mature and it is much more flexible. Considering the volume of data that the governments need to process, open source is the only scalable and robust platform which can ensure better outcome. Interoperability is another aspect which goes in favor of Open Source. Government’s infrastructure and systems need to support multiple systems, standards, applications and processes, which is possible only through the adoption of open technologies. Government, as customers, also appreciates freedom of choice the biggest advantage of open source. Open source can be run on mainframes or Desktops, without compromising on performance or quality,” views Rajarshi Bhattacharyya, Country Head - Suse. The biggest advantage of Open Source platform is that it drives innovation. It is a prime reason that many governments across the globe have policies that support this platform. Government of India has also developed BOSS based on Linux operating system. “The biggest benefit that Open source drives is innovation, it provides flexibility in terms of vendor lock-ins and feature customization. Another benefit is the faster time to market. More than 40 + governments globally have policies supporting this initiative. The Indian Government has even developed BOSS (Bharat Operating System Solutions), which is a Linux-based operating system. There are still more initiatives required on the applications and platforms front,” says Prashant Gupta, Head of Solutions, Verizon Enterprise Solutions South East Asia & India. 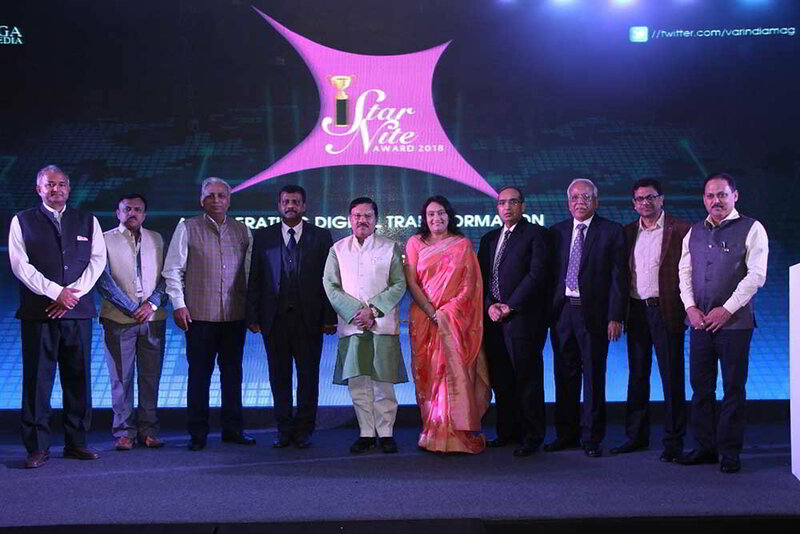 As Open Source platform offers cost efficiency, scalability, innovation, rapid deployment, security and much more so it is the first choice for Government of India to leverage the digital transformation initiative which is presently going on in the country. “Open Source is a prominent choice of Government to truly leverage the digital transformation initiatives. The Government requires scalable, innovative and high-quality eGov applications to be developed in a collaborative manner by encouraging synergy between departments and private organizations,” opines Dr. Devasia Kurian, CEO, *astTECS. Digital India initiative is one of the most important project of Government of India which has encouraged the entire nation to go digital. To make it a success Open Source technology is very significant for it. Moreover, it is used in different government projects of Digital India and the policy announced in 2015 also encouraged its adoption. “Opensource is an extremely important aspect of Digital India. It offers flexibility to enable, customize and explore newer technologies taking advantage of the global participation, unbound development, service automation which enables rapid development & deployment, bringing down the cost significantly. Open Source is now being used in various government projects under digital India program. The Indian Government also announced its Open source policy in 2015,”states Neeraj Bhatia. Digital India initiative includes three objectives, to utilize digital infrastructure for citizens, governance & services on demand and to empower citizens digitally. 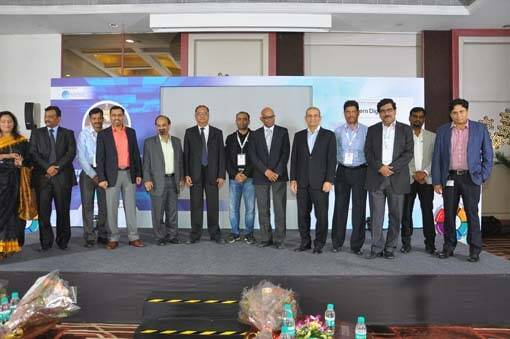 For such initiative Government of India is adopting Open Source platform as a key which is helping open source vendors to flourish as CIOs of various organizations are welcoming the platform warm heartedly. “The Digital India initiative by the Government of India urges everyone to adopt open standards, promote open source, and open technologies. This was supported by Government of India policy on open source. Open source policy align well with the Digital India Program, the program seeks to prepare India for a knowledge economy with three broad areas of focus: Digital Infrastructure as a Utility to Every Citizen, Governance & Services on Demand and Digital Empowerment of Citizens,” explains Prashant Gupta. Interoperability is the key to deliver services through various digital platforms and hence open source is the crucial technology for Digital India programme. Realizing the fact, Government of India has introduced policies and reforms to uphold the technology. It has become a preferable technology in all e-Governance systems. “Adoption of open source is critical for the success of Digital India programme, especially for our e-gov projects and electronic delivery of services to citizens. Interoperability is paramount to deliver citizen services through multiple channels like web and mobile. It’s evident that the Indian Government is aware of this and has introduced policies and reforms to promote the usage and development of open source technologies. Open Source Software is now the preference in all e-Governance systems implemented by various Government organizations, in comparison to Closed Source Software. We are sure that open source can help greatly in bridging the digital divide in the country,” states Rajarshi Bhattacharyya. Apart from interoperability, another inportant factor for the enablement of Government of India's digital vision is India Stack. It is a set of APIs that encourages developers to work with various organizations and government. “One of the key enablers to India’s digital vision is India Stack, a set of APIs that allow developers to work with government, businesses, and startups. Oracle Cloud platform has been validated to develop applications using India Stack services and is in line with Digital India initiative. With this, customers can create and test next generation cloud applications that invoke core India Stack APIs, including Aadhaar Authentication and eKYC, eSign and DigiLocker,” says Sunil Mehra, Vice President – Cloud Platform, Oracle India. Worldwide, many governments are getting associated with open source which is boosting innovation in the segment. The open source platform now does not only mean acquiring a product but also an investment in innovation. The introduction of policies for open source by Government of India has acted as a catalyst in the usage of the platform. “Across the world many governments are increasing their engagement on open source. This is critical to powering a culture of innovation that is vital to serve the needs of a modern world. The use of technology, including open source software, is moving out of the sphere of simply 'acquiring a product' to 'investing in innovation'. The Government of India’s move has triggered a surge in interest and usage for Open Source Software (OSS). Although it is difficult to put a number to it, this is an exciting opportunity for vendors of OSS and the community at large to ensure widespread adoption and a level playing field for all,”explains Kamal Brar, Vice President and General Manager of APAC, Hortonworks. The Government’s move of embracing open source software has been beneficial for the vendors. This has encouraged many other verticals apart from government like telecom, BFSI, manufacturing etc to accept this technology. “There has been a concerted effort from the government to promote the usage and development of open source technologies and it’s certainly paying off. As you rightly pointed out, government in itself is a huge market for open source, with initiatives such as Digital India, smart cities and various other e-gov projects moving to the next level. And projects like Digital India has an all-encompassing impact on the whole ecosystem. So government’s decision to promote open source has certainly resulted in more opportunities in other sectors. 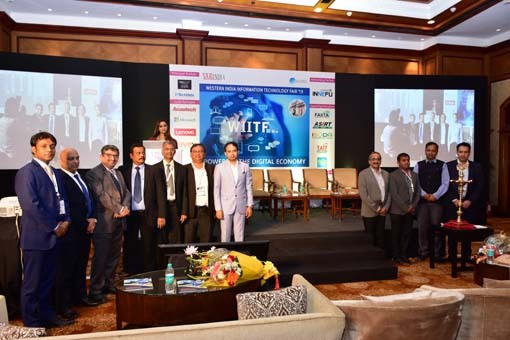 Other than the government, Open source today is widely accepted by verticals such as BFSI, Telcom, Manufacturing and Enterprise sector,” mentions Rajarshi Bhattacharyya. Though Open Source platform is gaining grounds presently but training and awareness for the technology is very much required to take its success to the next level. “There is a strong ecosystem in place and the adoption of Open Source is consistently increasing. Yes, more training and awareness is required for Open Source to spread and organizations are making an effort in this direction. With Open Source becoming prevalent, there is an increase in demand for skilled professionals. 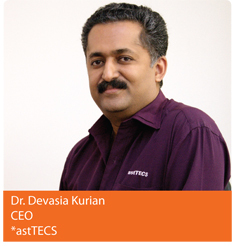 At *astTECS through *astTECS academy, we offer comprehensive training programme on Asterisk solution to Asterisk user, customers and organizations in India and many countries across the globe,” suggests Dr. Devasia Kurian. Adoption of open source platform is not enough but empowerment of developers with an expertise to take advantage and contribution to the community are also an important for its success. “Open Source adoption is increasing in India with more government entities and organizations coming to the fore to take adoptive measures. However, a well-equipped talent pool and a proper training mechanism are needed to empower the developers with the expertise required to take advantage & contribute to the Open Source Software. Red Hat offers courses and certifications covering everything from systems administration to enterprise application development. Whether one is a Linux system administrator, or a cloud and virtualization developer or architect, Red Hat certifications not only helps developers advance their careers but also allows organizations and governments to hire the best talent,” Neeraj Bhatia. Apart from lack of skilled developers other challenges such as absence of vendor support, software quality and information security are also there. A strong policy framework can improve the situation. “The most important challenge that organizations face in the adoption of the open source technology is the lack of skill availability. Other challenges include lack of dedicated vendor support, software quality and information security. This can be addressed by laying down a robust policy framework to support adoption. Make in INDIA can also drive solutions developed on an open source platform. With the growth of open source in the Indian market, better training and more participation will result in setting a mark in the global open source market,” highlights Prashant Gupta. It is quite evident that with digitalization and different government initiatives open source adoption has been encouraged in the country. The policies of Government of India in this regard has further strengthened the position of the platform. All these factors have not only extended opportunities for the open source vendors in government segment but also in other business verticals who were skeptical in adopting the technology. But it is also to note that India lacks in terms of skilled talent in this technological field which is very critical for the growth and development of the technology. It is important to provide a proper platform of training for the developers to further contribute to the technology. Not only this challenges like vendor support, software quality and information security need to be addressed. Considering all the aspects we can conclude that open source software is making its way to success.